Critically-acclaimed US drama Counterpart has been axed in the US after two seasons. The series starring J.K. Simmons as a lowly cog in the bureaucratic machinery of a Berlin-based spy agency. Showrunner and creator Justin Marks announced the news on social media, but indicated that he hopes for more. SBS has screened Season 1 in Australia, but bumped episodes after low broadcast numbers. This week SBS also got news that The Son would conclude and The Handmaid’s Tale has been pushed back to June. Updated: Season 2 returns Thursday, 21 February at 9.30pm, followed by single episodes weekly on Thursdays at 10.30pm. All episodes at SBS On Demand. Looks like it was cancelled after they did S2 so probably ends with a cliffhanger. Pity, it’s a great show. I think this show is just too smart for most viewers. It reminds me of Westworld in its telling. Slow burning but intriguing. 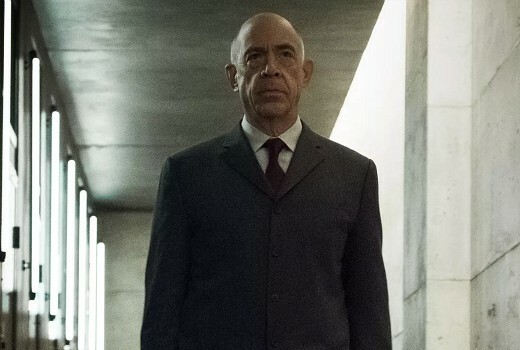 J K Simmons is exceptional as always. Nooooo! This is a great show, I hope if finds a home elsewhere.